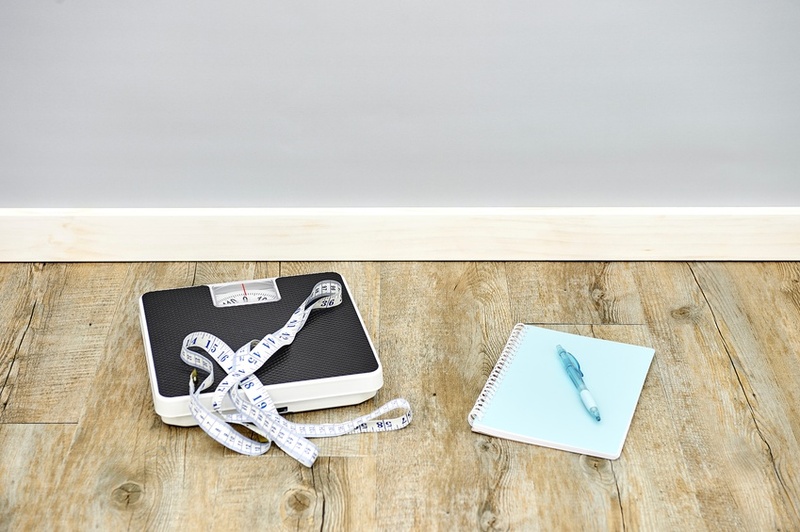 Scales – friend or foe for weight loss success? “I knew I couldn’t do it, I should have left these scales in their hiding place! Why did I let myself be persuaded to try yet another diet and go to the gym again? I’ve been doing this for two weeks now and the scales won’t budge. I’m just one of those people who is doomed with a slow metabolism, it must be my genes. Karla can talk, for her it was easy, but for me things just don’t change so I might as well go back to indulging in those chocolate chip cookies and cream cakes I love so much, right?!? !”, Caroline uttered out loud to herself as she stepped on the scales one Sunday morning. Of course Karla wanted to make her smile at the same time it was no joke. Just reading the number on your scales can be very misleading information about your weight loss efforts. Caroline had been eating quite well and she has managed to lose some fat at the same time she started lifting weights and took up Zumba classes both of which had her muscle mass increase. With muscle being heavier than fat, her scales just zeroed out the effect. Also, our weight naturally fluctuates on a daily basis and that Sunday morning may have just been a ‘bad’ day to step on the scales. Once Caroline understood the language of her scales a little better, she regained courage only this time she wanted to know that she was doing it right from the start and she came to me. I helped her tweak her eating plan even further and what she needed was a little different from what had worked for Karla. She kept up her exercise regime and started doing really well. Her scales still didn’t budge as much as she had expected but she started feeling her jeans loosen up around her waist and thighs and even managed to get back into a pair she had not been able to wear in a long time. In this process, she realised that lost kilos on the scales were actually secondary to feeling more toned and looking slimmer in the mirror. Don’t be afraid of stepping on the scales. In fact, I’m not a fan of only weighing yourself once-a-week when you want to lose weight. Since our weight naturally fluctuates and depends on quite a few factors, the day you step on the scales might give you the “wrong” numbers which can then easily have a negative impact on your mood for the entire day. And don’t we give in to temptations more easily when we are in a bad mood? So I recommend stepping on the scales every day, in the morning, no clothes on and before you’ve had anything to eat or drink. Write down the numbers, they are just numbers, don’t attach emotion to them. At the end of the week you take an average, now you are getting a number with fluctuations ironed out. Remember if you are building muscle and losing fat, this number is still just a number on the scales. Measure your waistline, your hip and your thighs, check in with how you feel in your clothes and combine everything to a complete picture. Take a piece of paper and draw a table from Monday to Sunday with space to record your weight for each day. Then put the paper and the pen (and a tape measure if you want) next to your scales in the bathroom right now. If you are not at home, set yourself a reminder on your phone for a time when you’ll be home for sure so you can do it then. Start tomorrow morning with tracking the numbers. If you feel like Caroline or would like more practical tips on how to measure weight loss success, don’t hesitate to contact me. You can also sign up for my newsletter here.